In recent months soda has been under fire. And it should be. The soft drinks consumed by millions of Americans are a major contributor to type 2 diabetes, weight gain, hypertension, and a slew of other health problems. The major offenders are the sugar content and serving sizes, but now another component of soda is under investigation: the caramel coloring used to give colas a dark appearance. Already labeled a carcinogen in California, the substance 4-methylimidazole appears in many of the caramel colorings and flavorings used by soft drink manufacturers. A new study by Consumer Reports is now urging the U.S. Food and Drug Administration (FDA) to take a closer look at the safety of the substance. The FDA doesn’t feel it’s unsafe in small dosages, but they’re now going back for a closer look. The substance, 4-methylimidazole, is created in small amounts in the production process of some caramel coloring, in trace amounts when coffee beans are roasted, and when certain meats are grilled. In such low amounts there appears to be little concern, but the report is urging the FDA to find out if, and at what levels, the substance increases cancer risk or causes cancer. Most ingredients in many sodas require a PhD to pronounce, and the average person is likely to assume they are safe. But these ingredients can be problematic, so much so that the state of California law requires labeling products that contain more than 29 micrograms (mcg) of 4-methylimidazole. What’s surprising is that after hearing this, both Coke and Pepsi contacted caramel coloring suppliers about monitoring levels. So apparently there is reason for concern. If the manufacturers are trying to make changes without a fight, it definitely leads to some questions. It’s estimated that Americans consume about 1.3 standard, 355 ml cans of soda per day. 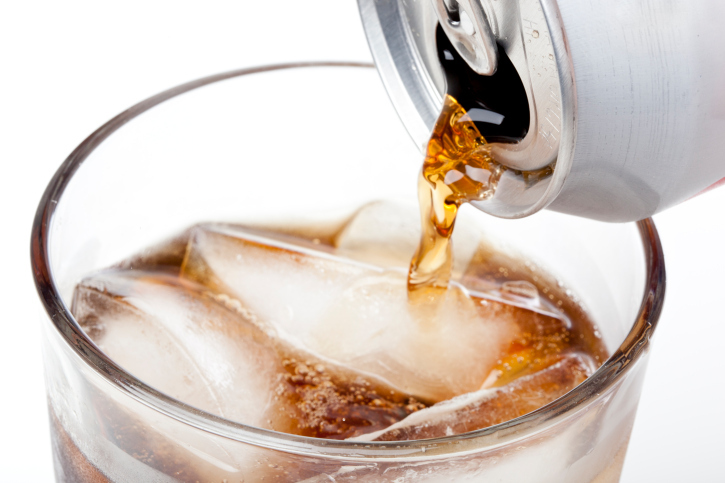 Research has shown that some sodas contain more than 29 mcg of the potential carcinogen while others contain less. The purpose of the FDA study is to confirm a safe amount, and hopefully regulate the amount of the substance. I personally rarely drink soda. I may have one or two glasses per year at a restaurant, but I just don’t like it. I don’t like the way it makes my teeth or stomach feel, and I certainly don’t like the health risks it poses. If you drink soda, I’d advise doing so cautiously. Make it a treat and try to stick to a small serving when you have it. Doing so can lower your risk of diabetes, hypertension, weight gain, and, quite possibly, cancer.